Wedding days are always filled with so much excitement! Laughter, tears of joy, flat tires! That's right, this beautiful bride's limo got a flat on the way to the ceremony. But you would have never known. This young couple took it in stride, and the knot was tied! I've been working with Lewis at Sweet Baby Vineyard over the last year as they settle in at their new location. Originally located in East Kingston, they've literally planted their roots in Hampstead, NH. The location is beautiful! There's always a new shot for me to capture each time I visit. If you're looking for a local destination, check them out! If you don't bump into me there, you can check out some of my work on display in the tasting room. We had so much fun doing this shoot with fitness mom Anais and her daughter. But when the little one started to get tired, I had to take advantage of the natural light and get a solo shot of mom. With her one-year old at her feet, I could see her reflect on this last year. Boston fashion model Khoney Luck came into the studio this week to update his portfolio. As I make my way through the images, I'm very pleased with the results. But one of my favorite shots came in between the poses. That moment that the model lets go, and gets caught in the moment. Having photographed his mother's maternity session a few months prior, it was a joy to meet little Jonathan. Sessions like these are so rewarding, both as a photographer, and a father. From sharing in the excitement of an expecting couple, to basking in the wonder of things to come. These are the elements of my work that make it so much more than a job. Although the weather had postponed us the week before, the cold temperatures weren't slowing down this mother-to-be! I love a client that's up for a 9:00 am thanksgiving weekend session. Can't wait to meet this little one! 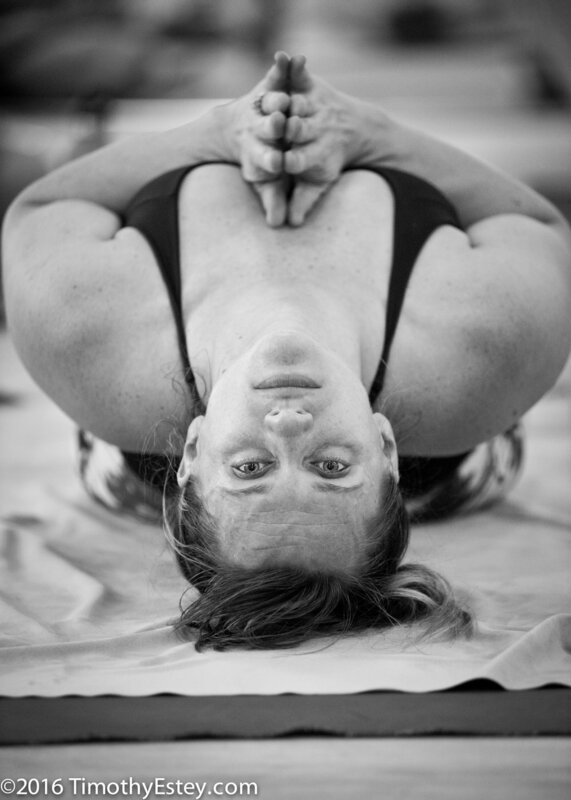 This past weekend I was invited to photograph the advanced class at Bikram Yoga Portsmouth. Having never attended a Bikram Yoga class before (or any yoga class for that matter), I didn't know quite what to expect. I was given a well needed warning that it would be hot, but that would be an understatement. The air in the studio was thick enough to cut, and the humidity began condensating on my gear immediately. Fortunately, with ample set up time, the fog was clearing off the lenses just as they began their warm up. Being treated like a member of their class, it was easy to blend in and start getting my shots. It was quite an experience to witness these athletes practice their craft, and under the conditions of extreme heat and humidity, was humbling. Only years of training and experience can prepare you for a class like this, and I'm glad I was invited to share my craft with them. A current project I'm doing has taken me all around the city I live in. If you grew up in, or near Haverhill, Ma., then you're probably quite aware of the many local landmarks. Winnekenni Castle, Lafayette Square, or the historic downtown for example. But soon, all traces of the iconic Building #19 will be gone. While getting a shot of the unique entry to this local landmark, I ran into one of the few remaining employees. He welcomed me in to get one last look at a place I had seen so many times in the past. So many of us went there, although some would deny it. But to deny that this place has provided so many memories would be wrong. My mother worked there when I was four years old, and one of her coworkers taught me to tie my shoes. Building #19 provided the components to many halloween costumes, and a great spot for a Yankee Swap gift. Sometimes I come across a book from my childhood that still has a .19 cent price tag on it. Something else will take it's place, but I'll miss scoring a deal at the 19's.